'First part of 2014' pledge under threat? The Xbox One Direct Broadcasting feature, which will allow Xbox Live Gold subscribers to showcase their gaming prowess live online is still a few months away, according to the company powering the service. 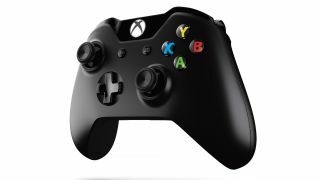 The feature was announced at E3 2013 during Microsoft's keynote, with the tech giant promising its arrival in the 'fist months of 2014' in the run up to the Xbox One's release. Now, in response to fans baying for the feature Twitch took to Twitter to confirm there's has been no update from Microsoft on when Direct Broadcasting will go live. The company wrote: "Xbox One Direct Broadcasting: There is no ETA at this time from Microsoft. Expect a few more months. If we know sooner, we'll update." A Microsoft spokesperson told Polygon that the Twitch broadcasting is a 'major focus' with integration coming in the "coming months." It seems the company is putting in the extra legwork now to ensure there are no teething problems with the service once it eventually launches. In a statement, Microsoft wrote: "We understand that the broadcasting component of Twitch is very important, and it is a major focus on our roadmap as we work to ensure it is seamlessly implemented into our Xbox One experience over the coming months." Last week it was announced that 20 per cent of Twitch streams are originating from Sony's PlayStation 4 console. You may not be able to broadcast on Twitch yet, but here are 10 ways Xbox Live changed gaming.